Pasatiempo welcomes public play and accepts two types of tee time reservations: Regular (up to 7 days in advance) and Priority (up to 365 days in advance), which are fully explained below. Since Pasatiempo is a semi-private golf club certain tee times—mainly early morning times on weekends and holidays—are reserved for members. After making a reservation, please refer to our Golf Information page for dress code & spike policies. Rates are listed below. Priority Reservation Details — A Priority Reservation provides a tee time for 1 to 16 golfers up to 365 days into the future. There is a non-refundable fee of $30 per golfer for Priority Reservations. In addition, all green fees associated with a Priority Reservation are guaranteed, including a reduction in number of golfers, unless cancelled or revised at least 10 days prior to the reserved date. Use the Click to Book Tee Times button or call 831-459-9155 during business hours to make a reservation. For groups of 16 or more, please call Ken Woods, Head Golf Professional, at 831-459-9159. We are a plastic cleats (non-metal cleats or spikes) facility. If the players tee off and play less than 5 holes we give them a full refund on the green fee but not on the cart. Past 5 holes and up until 9 we give them 50% off if they quit. Past 9, there is no refund and they're on their own. Pasatiempo is very walkable, having been built in the time before electric carts; for example, every tee is close to the previous green. However, our terrain has significant elevation changes. 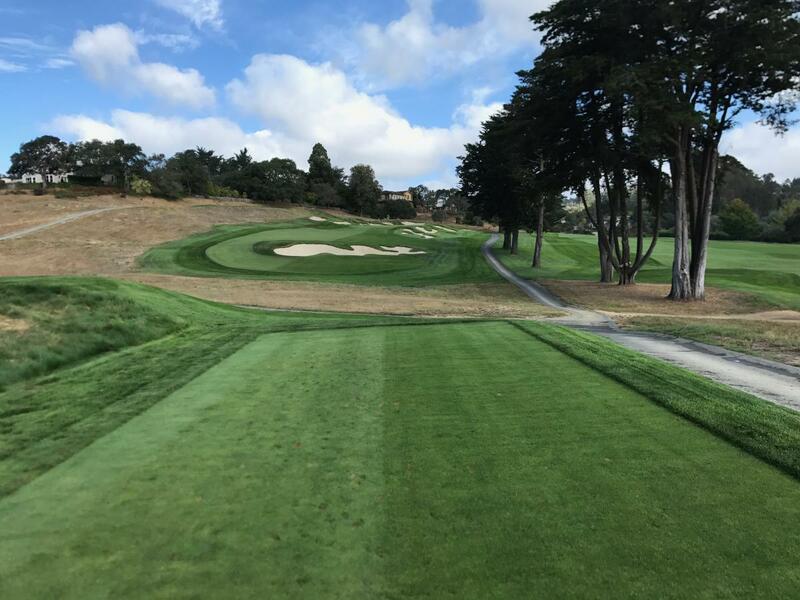 If you like walking and can handle a hilly course, you will definitely enjoy Pasatiempo. Pasatiempo encourages a pace of play of 4 hour and 15 minutes. There are Rangers out on the course to assist our guests in achieving this goal. Caddies services are available. Please call our pro-shop (831-459-9151) at least 24 hours in advance to reserve your caddy.